The latest edition of the Caux Dialogue on “Land and Security” took place last week bringing together leading experts and practitioners from around the world to discuss the geopolitics of land degradation, roadblocks to progress and also the numerous success stories of restored lands and retreating deserts. The focus this year was on the scaling up of solutions. Land degradation is not a new problem. Great civilizations disappeared because they damaged the soil that sustained them. 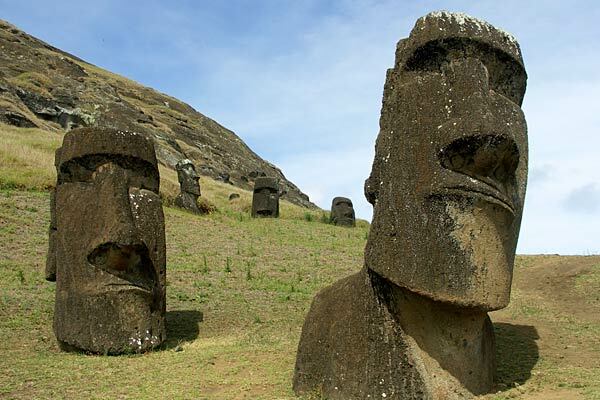 The most famous story is probably that of the Easter Island settlers from Polynesia who raised 887 giant Moai statues weighing up to 80 tons! but sealed their fate by deforesting the island. More recent examples of the devastating consequences of land degradation include the dust bowls of the 1930s in the American Midwest. 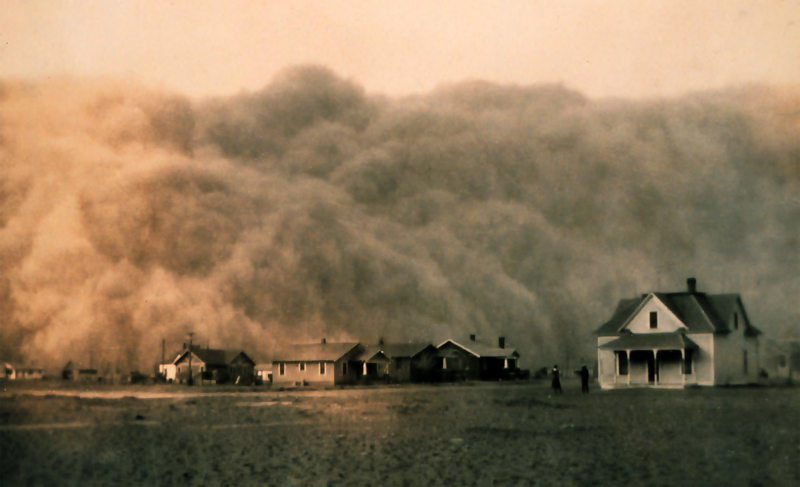 A combination of plowing the prairies for agriculture and prolonged droughts caused massive dust storms on the Great Plains from Texas to Canada. The erosion of the topsoil from 30 million hectares of farmland destroyed the agricultural industry in Texas, Kansas, Oklahoma and Colorado, made 500,000 people homeless and caused the largest migration in American history. Some 3.5 million people moved out of the Plains states during that period. In the 1970s and 80s, the African drylands suffered from severe droughts that caused repeated crop failures and mass starvation. African nations pressed the global community to take action ahead of the 1992 Rio Earth Summit, which led to the Convention to Combat Desertification that came out of the Rio Conference along with the conventions on climate change and biodiversity. But while there is a growing awareness about the climate and biodiversity crises, land degradation receives little attention. This is surprising because land plays an important role for carbon sequestration and its degradation directly impacts biodiversity. We will not be able to resolve the climate and biodiversity crises unless we restore degraded lands. Overgrazing, deforestation and poor farming practices expose the soil to water and wind erosion, which leads to desertification. Meanwhile, mass irrigation practices cause the salinization of soils that can no longer sustain vegetation. In turn, the lack of soil cover increases erosion and disrupts the water cycle. We know that healthy soils are critical for food security and that soil regeneration is a slow process. 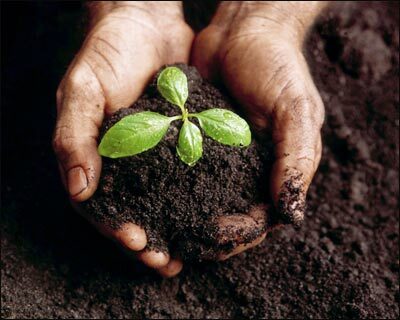 It takes 100 years on average to generate a millimeter of soil. And yet, we continue to mismanage soils and degrade lands in every region of the world and lose 12 million hectares (or 1%) of the planet’s fertile soils every year as a result. Climate change exacerbates the problem. 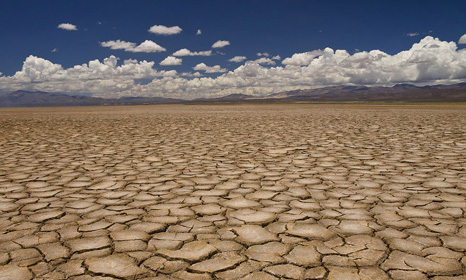 According to the UK Meteorological office, climate change contributed to the 2011 East African drought that killed 100,000 and pushed millions into starvation. This is why Monique Barbut, the new Executive Secretary of the Convention to Combat Desertification, has vowed to work closely with Christiana Figueres from the Climate Change Convention. More cooperation is expected as we approach the Lima climate change conference in December and the awaited Paris climate talks in 2015. 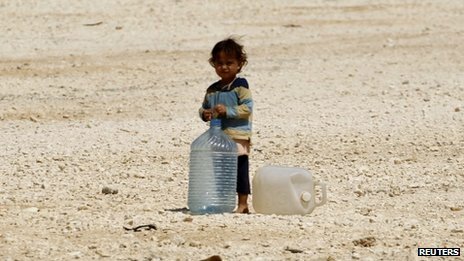 While the Syrian crisis has been receiving a lot of press, few know that since 2006 the country has been suffering from one of the worst droughts in its history. The situation was aggravated by the misguided policies of the Assad regime that subsidized water-intensive crops (wheat and cotton) and the use of mass irrigation technologies. This resulted in disastrous crop failures with the loss of livestock and livelihoods that forced 1.5 million to migrate to cities in order to survive. This was a major factor of instability and social unrest that contributed to the Syrian crisis. The importance of climate and environmental factors, including water and food scarcity, are often underestimated when analyzing the causes of tensions and conflicts. With the growing impacts from climate change, droughts and land degradation on water and food availability, we will have to reconsider their importance as a threat multiplier and as a significant factor in conflicts around the world. This year again numerous solutions were discussed – from permaculture to water catchment with examples from coming Somalia to Sudan. But our first priority should be to stop land degradation from occurring in the first place. Avoiding damage is much easier, faster and cheaper then restoration. We urgently need to stop the misguided policies that lead to deforestation, biofuels that compete with food and carry an unfavorable footprint, and the wasteful mass-irrigation techniques for crops that are not suited for local conditions. Dialogue convener Martin Frick and Ian Johnson from the Club of Rome agree that: “if land degradation and desertification are to be slowed down and reversed, we need to urgently and massively scale up the solutions”. A major obstacle remains the lack of media coverage and low public interest. Policy makers and political leaders do not fully comprehend the scale of the problem, its implications in terms of security and the urgent need for restoration. “Educating policy makers, the media and the wider public” is a top priority for Jakob Rhyner, Vice-Rector of the United Nations University and while one can find comfort in knowing that organizations like Ramsar (Convention on Wetlands), the International Union for the Conservation of Nature, the International Migration Organization, the UN Environmental Programme, IUCN and Green Cross International are working collaboratively to raise the profile of land degradation as a major threat to security, the political will to provide serious support for the large scale deployment of solutions is still missing. Even more worrying is the continuation of policies and practices that result in land degradation around the world and the powerful influence of vested interests that work to maintain the status quo. The Caux Dialogue continues to be a leading platform for constructive engagement on this issue. Let’s hope the call will be heard ahead of the Lima climate talks this December.